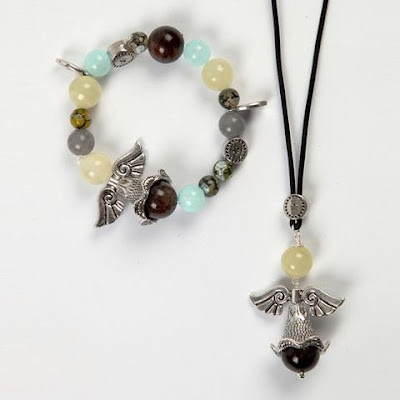 An angel and beads are threaded onto a piece of elastic beading cord and tied with two or three tight knots. Angel necklace: Beads and an an angel are put onto a head pin. Twist to form a loop. This is attached onto a piece of leather cord with a round jump ring.